Having just done a whole bathroom, I ruh-heally did not want to deal with tile again so soon, and hated the idea of losing even just that much more counter space. I had considered putting up sheet metal (flashing apparently can be great for this) but my past experiences in cutting metal did not make me confident that I could do it without it looking sloppy. I also considered ripping out the counter entirely and replacing with butcher block, but time and practical considerations won out in the end. Then I came across these stick-on faux-tile sheets. This particular brand is Smart Tile – I think there are some others, but I liked their selection. I chose this look because it’s all light colors but doesn’t just make the whole kitchen a mush of browns and whites. All together, it took me a few hours to degrease the original backsplash with TSP, remove and clean the outlet covers, cut the sheets, and stick them up. I did not draw a level guideline – I just went with the level of the counter. There were some funny discoveries because of that (like the counter being a fair bit higher to the right of the stove), but it worked out fine. The flexible sheets are easy to dry fit and cut with a utility knife, and can even be trimmed in place if you need to. They are also very thin, so I don’t have to worry about the depth. The backsplash is pretty obviously fake when you touch it (it has that too-smooth, sticky plastic feel, due to the gel they use to create the 3D tile effect), and you can see the seams between sheets if you REALLY look hard, but from a normal viewing distance it looks great. 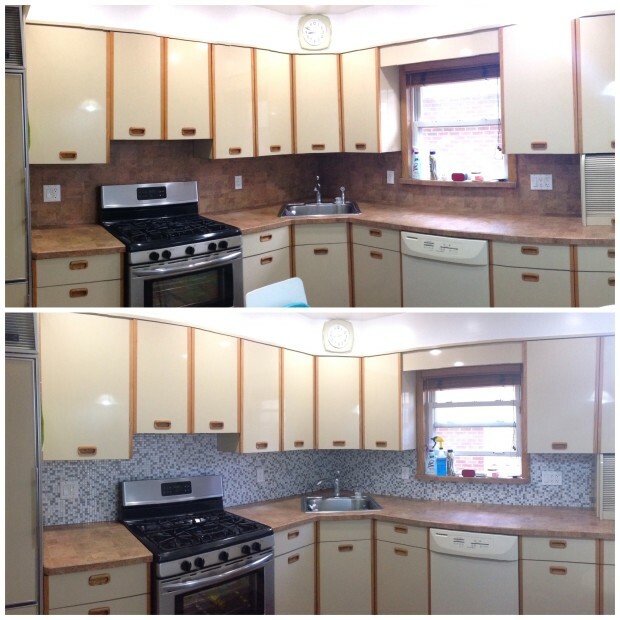 The cost was comparable to glass tiles, perhaps a bit less if you consider other materials involved in putting up actual tile, but it took much less time and made far less mess. So far they seem to be staying up, and I am definitely feeling much happier in my kitchen. I might even be able to live with the countertop for some years yet, but who am I kidding: when the new IKEA cabinet line comes out next February, I will be playing with their kitchen planner tool again. 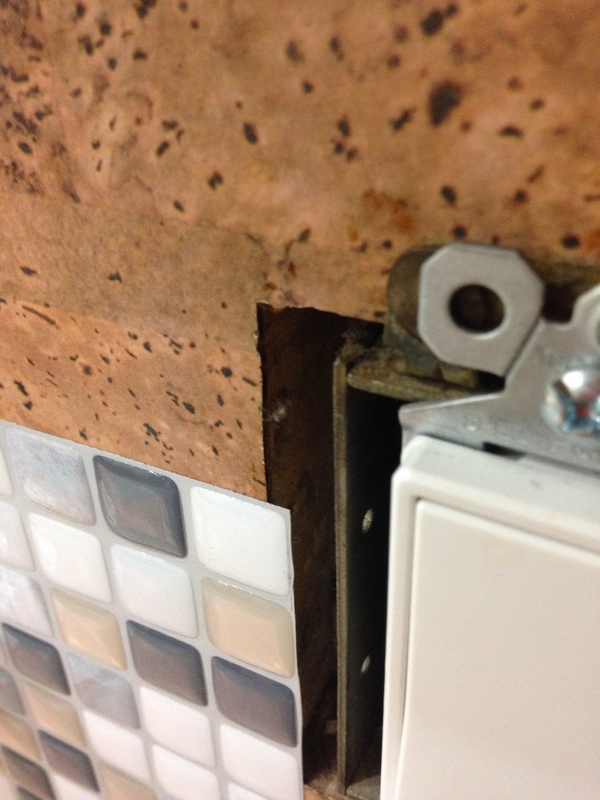 In the meantime, here are some more pictures, and I’d definitely recommend these if you just need a quick change – they say you can even put the sheets up over old tile. ← Sweet new birthday kicks to finish out my 20s. Looks great Helen. You’re right, it does lighten up the room quite a bit.